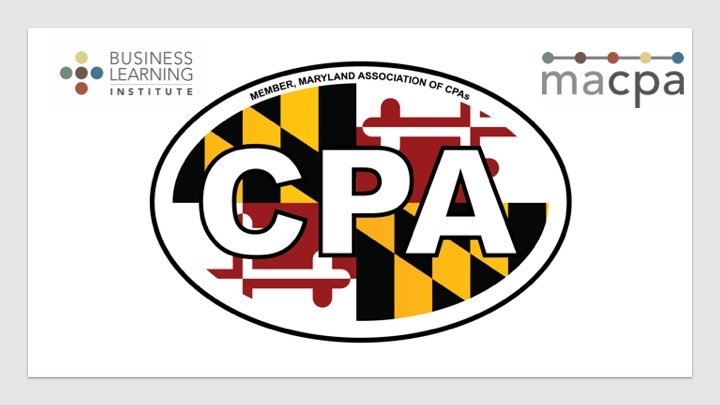 Maryland Managing Partners representing almost 50 CPA Firms, from the Big Four to local CPA Firms, came together on Nov 15th weigh in on MACPA’s legislative and regulatory advocacy agenda for 2019. They identified the top legislative and regulatory issues, top challenges they are facing, and ‘hard trend’ certainties. Their top comments and insights can be summarized as the profession is changing fast, legislative/regulatory changes present a lot of risks, and adapting to this rapid pace of change and technology is BIG! Another potential issue will be the spread of significant data privacy legislation (e.g. GDPR and California). Here is a recap of the Maryland mid-term election results. One managing partner asked what is their role in this? Send people to CPA Day in Annapolis on Jan 24th, 2019 and contribute to our CPA Political Action Committee. The complete presentation is below and the full video of the meeting here. When you consider these hard trend certainties and the top challenges, you have a perfect storm of headwinds that will not slow down. The winning firms will be those that start moving and accelerate their progress, culture and development of their people. Standing still is now falling behind and risking being disrupted. This is what we mean by being #FutureReady – are you partners AWARE of the major trends and issues facing the firm and your clients? Can they PREDICT which trends matter and how they might impact you and your clients (Certainties)? and do you have a strategy to ADAPT as a firm to initiate the proactive changes necessary to thrive amidst these big waves of change? Let us know if you want help elevating and accelerating your firm strategy. The T-Shaped Professional is the key to winning the race with machines. MACPA TownHall / Professional Issues Updates – Two of our biggest town halls are also being simulcast – let your people know you can cater in the office(s) and get the latest update from the Profession and Maryland area. CPA Summit Dec 6th feat. complete lineup of our preferred providers and technology solutions including advanced cloud, client accounting services, blockchain, artificial intelligence, robotic process automation (bots), productivity enablement and more. Strategic Planning and partner alignment services available as well as complete firm curriculum and talent development services. Did you know we presented the latest profession trends to the PCAOB Standing Advisory Group and facilitated their insights- see our post here.